In this popular course, you will learn the basics of modeling, lighting, texturing and animation using Maya, one of the most popular 3D software packages in the industry. 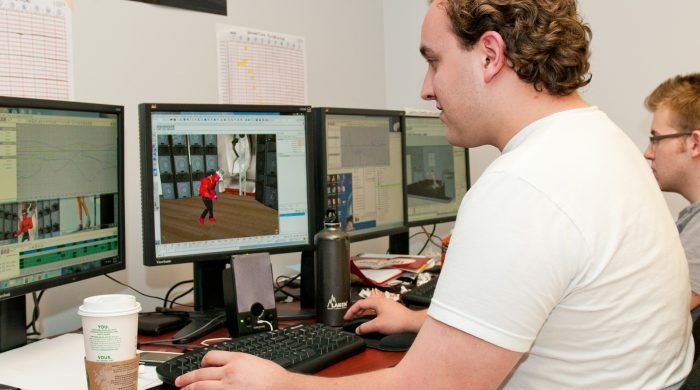 Students will gain an understanding of the interface and capabilities of Maya, as well as basic principles of movement and models. Projects cover topics such as shape deformation, basic polygon modeling and UV mapping, intro to set up layers and organize a project work flow, lighting and photo-realistic rendering, camera set up, character animation with F-curves, controllers and inverse kinematics. Final projects can be output to a USB or hard drive. Students provide their own backup media and are responsible for archiving their projects. Audits are welcome. Contact Admissions for details. Interested in Intro to Maya?